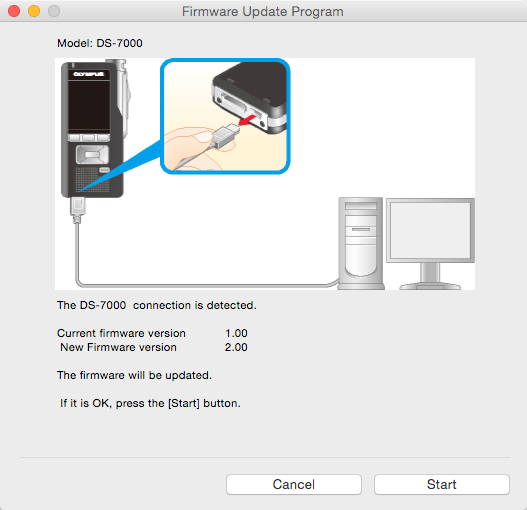 In May 2015 Olympus released an update to their professional digital dictation voice recorder models DS-7000 and DS-3500. 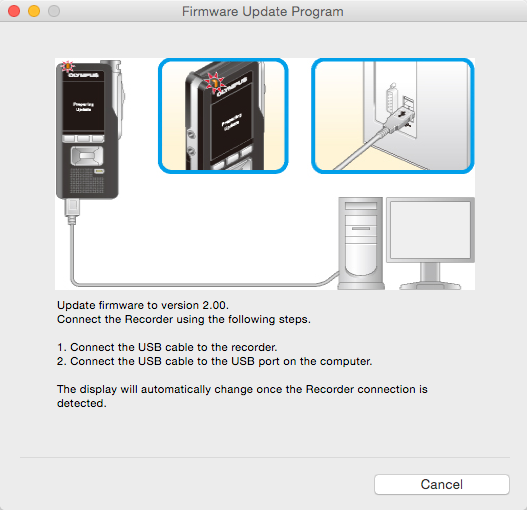 Your device can be updated from either a Windows PC or a Mac, the firmware zip file containers update files for both platforms. 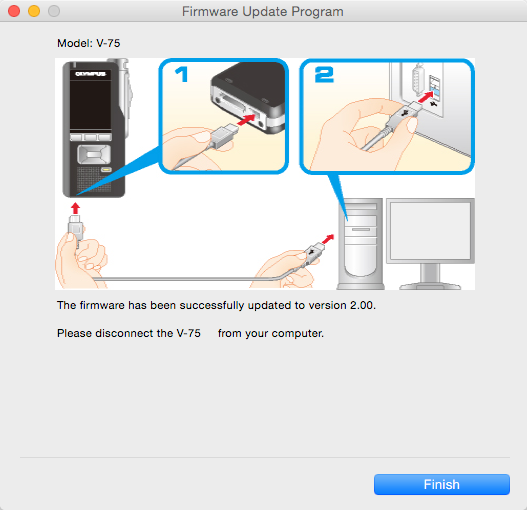 The firmware update only takes a couple of minutes to execute. 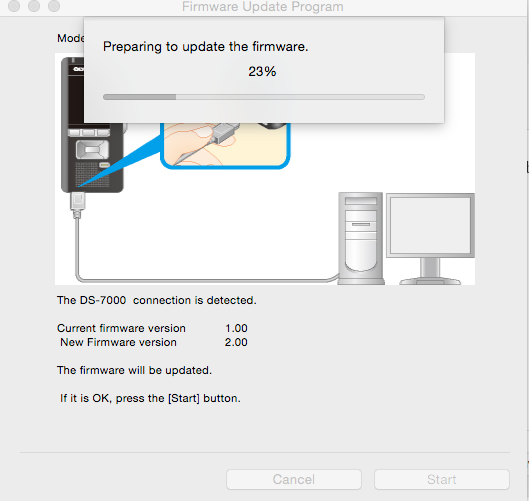 Needed to support centrally managed firmware updates by third party software (using Olympus Audio SDK 2.00 or higher). The data loss prevention feature allows you to change DS-7000 and DS-3500 into a read only device when it is connected to PC. It prevents the careless copying of sensitive data from the PC and network. This function can be enabled in the workgroup mode of ODMS. Supports the Toshiba FlashAir card. The F3 button will become the WLAN button once a FlashAir card is inserted. The card will start sending WLAN signal when the F3 button is pressed, and files will become accessible from a PC or a smartphone(*). Fixes the bug that the recorder sometimes does not record even when the slide switch is positioned at REC if the slide switch was quickly slided between REC and REV many times. (*) See the manual (How to use the FlashAir card) for details. Enables the recorder to display content of a xml file. Adds 2 minutes and 5 minutes for the backlight illuminating time options. (*) This feature is available for ODMS R6.2 or later. Changes the logic to display the worktype select screen when the power is turned off and on right after a new file is created. Reduces noise when the device is used with Mac in Audio Class. Supports the function of obtaining a serial number information available in FileDownload SDK ver. 2.06. Fixes the bug that an Author ID isn’t displayed properly when it has been changed by the ODMS. Work from Home as a Transcription Typist – What Do I Need?